Weiler Labeling Systems (WLS) offers a variety of container or label serialized coding and verification solutions before, as part of, or following a WLS labeler. Our serialization Print Stand can also be integrated into your existing labeler. Print Stand: The SPS-Series stand-alone print stand allows for the serialization upgrade of existing labelers with minimal down time or re-validation. The print stand can be configured with all major code printing and vision inspection brands. 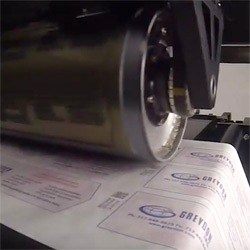 Label Heads: The X-4S high-speed label head allows for the continuous printing of a serialized code onto labels prior to application, thus offering higher speed and larger code capability than standard label heads. 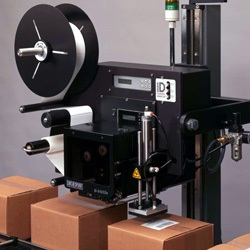 It can be retrofitted onto most WLS labelers or integrated as part of a new labeling machine. 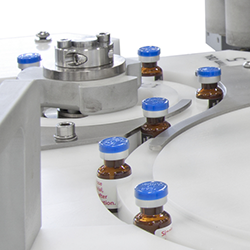 Vial Coding: The VCV-Series vial coder allows for the coding and inspection of unlabeled vials (i.e. 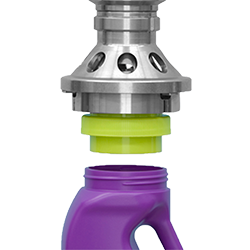 Brite Stocking) with simple tool-less changeovers between product sizes. With its small footprint it can easily be integrated into existing packaging lines and can be configured with all major code printing and vision inspection brands.